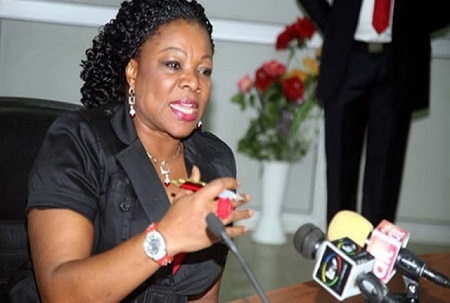 Marilyn Ogar, the former spokesperson of Department of State Service (DSS), has filed a suit before the National Industrial Court, Abuja, challenging her compulsory retirement from service in September 2015. Ogar was retired along 14 other officers in 2015, seven years before she was due for retirement. When the case came up for mention on Friday, the respondents’ counsels were not present in court. The claimant’s counsel, Adeola Adedipe, informed the court that the defendants were served originating summon and hearing notice. Adedipe said that although the defendants had entered conditional appearance, they did not file any counter processes within 14 days of service of the originating summon. NAN reports that Ogar wants the court to among others things, declare that her retirement was illegal and nullify her demotion from deputy director to assistant director. Joined in the suit are the Attorney- General of the Federation and the Director-General of DSS.